By now, you know that C has a dairy allergy, so he’s relegated to drinking almond milk. This is fine, except almond milk is more expensive, and takes up more room in the fridge. Since I’m on a make-my-own kick, almond milk was the next logical thing to try. Turns out, it’s really quite easy, and the biggest time involved is soaking the nuts themselves. And we can control the ingredients, and even make flavored milks (though at some point, it just becomes a smoothie – not that that’s a problem). 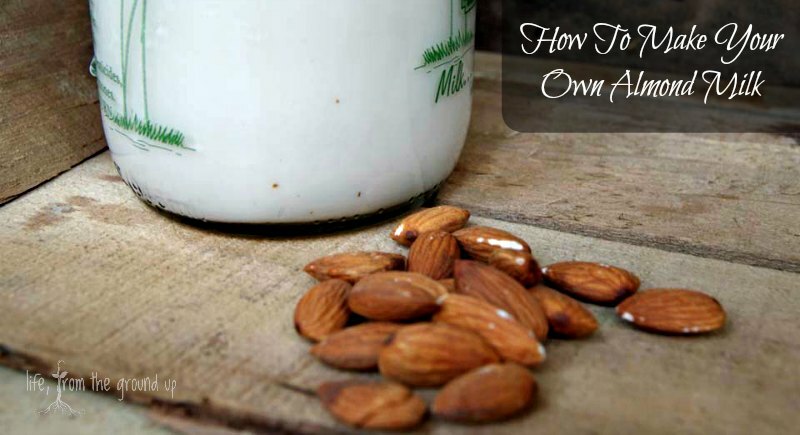 Put the almonds in a bowl and cover with water; soak overnight. The next day, put all the ingredients into a blender, then liquefy the mixture. Unless you like your almond milk grainy, strain using a fine mesh (none of ours were fine enough) or cheesecloth. Update: I bought a nut milk bag, and it makes things a lot easier (and cleaner)! 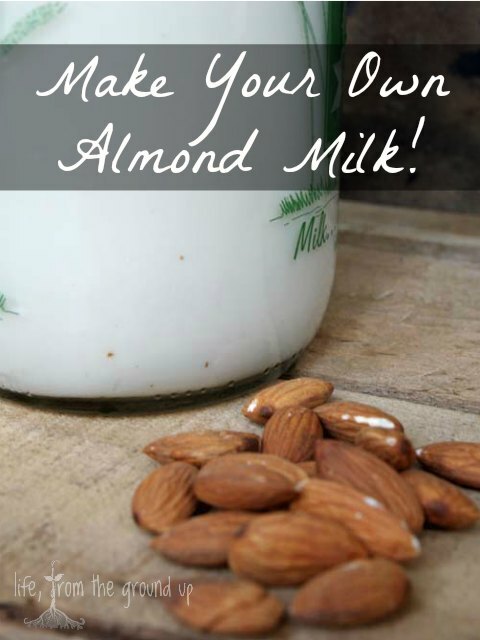 That’s it; now you know how to make almond milk. You can of course adjust the water if you like it a little lighter, and the vanilla and sweetener for a different flavor profile. The best part is that you have almond pulp left over. I’m going to attempt to make marzipan, one of my favorite food groups ever. Interesting, thanks for sharing. Did you use peeled almonds or did you leave the brown skin on? As for vitamins: there should be no need to consume added vitamins outside of pregnancy, breadstfeeding etc. – with a little bit of research on what food contains which vitamins in what amount, you should be able to easily get them through a healthy diet. I didn’t peel them; seemed like more work than was necessary, especially since they get strained out anyway.